Featured Today! Nasheli Juliana collection inspired by the September 11 attacks. A few days ago we published our interview with fashion designer Nasheli Juliana. Today we share with you all the details of her collection and the beautiful photography by our collaborator Naimar Ramírez. At her thesis show, back in May, Nasheli Juliana presented the latest collection from her student work at SCAD's School of Fashion. The show was at a gallery space atop a restaurant in the busiest part of town, which she shared with two other fashion designers with interestingly contrasting styles. The opening night was packed with friends, classmates and professors who got to explore the result of her design process inspired by the September 11 attacks. 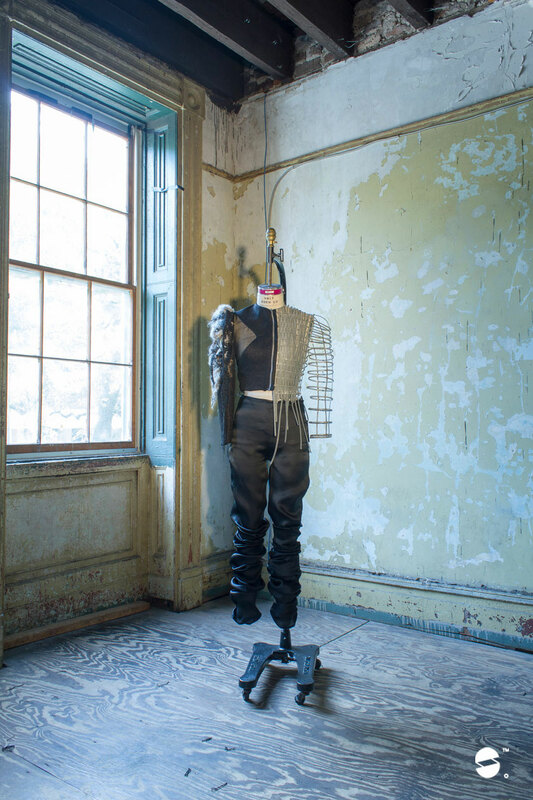 "My thesis work addresses how fashion is affected by politics and war. For visual inspiration I used the September 11 attacks, specifically the tragedy at the World Trade Center. I used the metal structure to resemble the ruins and the texture resembles the rubble of the buildings. I also wanted to use clean lines, just as the rest of New York City is and as the World Trade Center was, serious and quadrate." Nasheli Juliana watched the 9/11 tragedy unfold on television, a traumatic experience many of us also felt while watching it around the world. The collection is her visualization of the tragedy and with every piece she tells the story of the different instances of what happened. An asymmetric dress with orange lining which shows a half naked body only covered with metallic structure is the instant of the explosion. Many details in the collection correspond to facts and feelings about the tragedy that she has translated into design gestures. The use of metaphor about the truth translates to the neckpieces that partially hide the face, "because we really don't know the truth behind it all". The use of shear not only corresponds to the building's windows, but also corresponds to a play of transparencies that she relates to the missing pieces of information from the tragedy. Every piece of the collection is black, as homage to the victims. Nasheli Juliana's creative process starts with a problem: how to relate this real-life story she wants to tell to wearable clothing. The key is the silhouette of the dress, which for her is translating story and the visualization of it into a piece to wear. 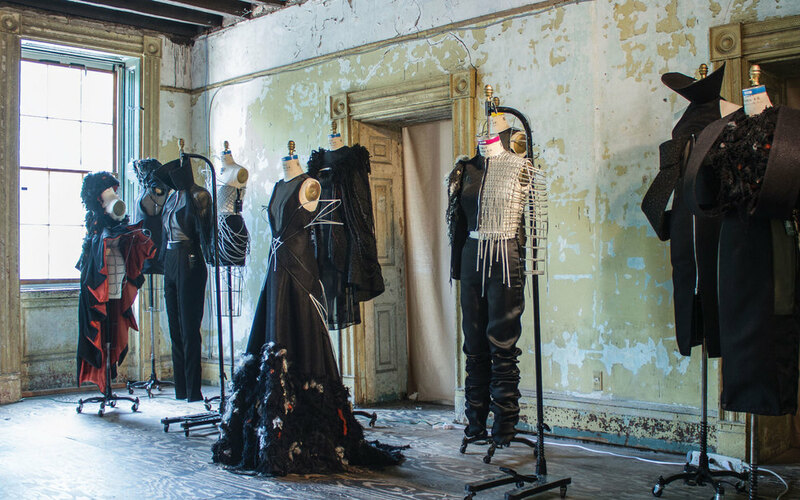 Ideating, sketching, and a lot of testing were involved in the making of the collection. Two of her biggest challenges were the use of metal and the making of textures, an evolution from her usual minimalistic design style, which she conquered with persistence while giving herself opportunity for trial and error. 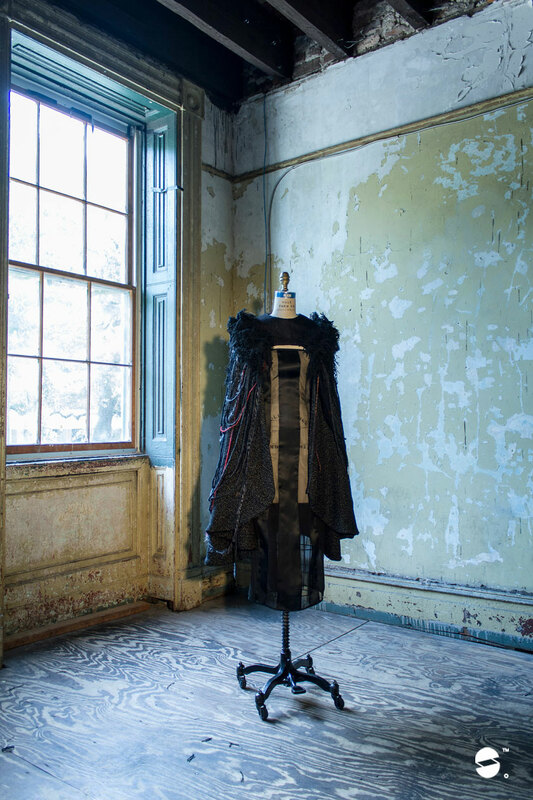 The collection was also featured in SCAD’s 2013 Fashion Show, where seniors from the Atlanta and Savannah campuses showed to the fashion community their talent. Nasheli Juliana was the only graduate student to get the call to show her work at the show, so needless to say it was an exciting and unique experience. She also got to show her work in Atlanta, where she met her dream employer, American fashion designer Ralph Rucci. See more of Nasheli Juliana's work. Tagged with FASHION, SCAD, SAVANNAH, PUERTO RICO, DESIGN, ARCHITECTURE. July 11, 2013 by Mariana Ortiz-Reyes. Occupation: Fashion designer, educator, mother and wife. Inspiration: architecture, "as it is the reflection of society". Location: oldest city of the state of Georgia, U.S.A.
Nasheli Juliana moved to Savannah, GA from Puerto Rico in 2012 with her young family for attending Savannah College of Art and Design, this town's young and hip energy source. Savannah is also home to among other things Civil War history, industrial manufacturing and college kids from all over the world. 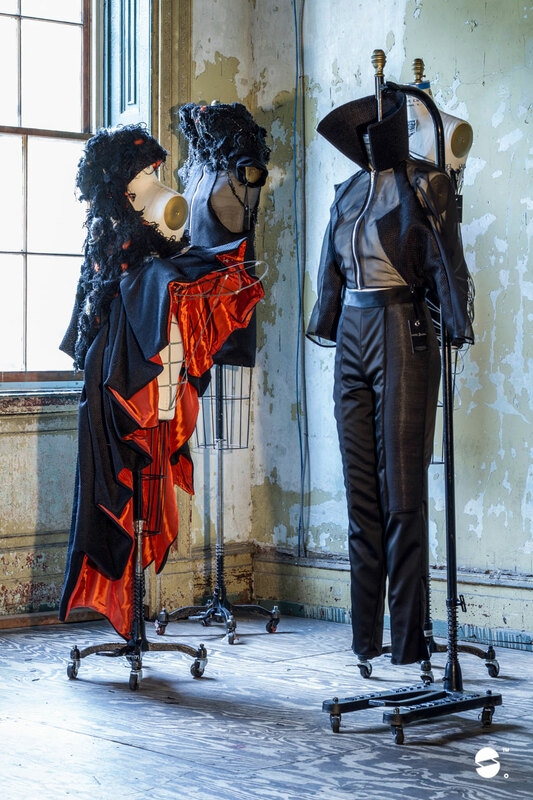 At her thesis show in May, Nasheli Juliana presented the latest collection from her student work at SCAD's School of Fashion. In our next feature about Nasheli Juliana we will share all the details of this collection. Nasheli Juliana first studied Fashion Design in the Dominican Republic, where she stayed to acquire fashion industry experience as a designer and production assistant. Upon her return to Puerto Rico she continue to work in the business as well as teach, while she completed a bachelor's degree at the Escuela de Artes Plásticas in San Juan. Just before leaving the Island, Nasheli Juliana was a professor at Universidad del Turabo and worked in art direction and costumes for advertising and movie productions. “I felt I had done all I could do in fashion”. This unsettling feeling about her professional development was also confronted by the need to provide a good education for her growing children. Her family determined Puerto Rico’s current economic landscape was not conductive for their progress. While searching for alternatives for getting off the Island, it became evident to Nasheli and her husband that going back to school was what they needed. With scholarships at hand they moved the family to Savannah, GA.
Nasheli Juliana’s first work at SCAD was an all-white Calatrava-inspired minimalist collection, which she describes as a continuation of what she had done in the past. What stands out of her accounts of the academic experience to follow is how the professors helped change her vision and creative process, while challenging her every step. At SCAD she got the opportunity to work with professors who explored the conceptual side of design. This approach to design is evident in her thesis collection. Coming to Savannah for her Master’s in Fashion Design was something that presented a real challenge. Now that she’s done it, she looks back to analyze the positive change this has been for her, professionally and personally, as well as for her children. While saying this and thinking about the sacrifices of her journey, Nasheli Juliana can't help but get emotional. Life after graduate school might prove to be challenging as well, as it is for most newly graduates. Finding a job becomes top priority for acquiring the experience that can position a career. Nasheli Juliana is open to opportunities for her collection, having already an offer to show it in Puerto Rico. Her current interest is doing experimental work, while finding the right connections to enter a passion of hers, show business. Coming next, more on Nasheli Juliana's creative process and the inspiration that enabled her collection. Explore more of her work at Behance. Tagged with FASHION, SCAD, SAVANNAH, PUERTO RICO, DESIGN. July 9, 2013 by Mariana Ortiz-Reyes. FEATURED ON OUR HOME PAGE! We are very excited to introduce Nasheli Juliana Ortiz, fashion designer with a love for illustration and digital design who is now residing in Savannah, GA. Nasheli is originally from Caguas, Puerto Rico, having also lived and studied in Santo Domingo, Dominican Republic. She recently completed a MFA in Fashion Design at Savannah College of Art and Design (SCAD), and is currently a Fashion Illustrator Instructor at the same institution. We got the opportunity to talk with Nasheli Juliana after her thesis show at Savannah back in May. For the show she shared the venue with two other fashion designers at SCAD, (see photo on our home page), for an energetic and packed crowd. The inspiration for the collection: World Trade Center ruins after 9/11. Check back on July 2013 for the complete interview with Nasheli Juliana. She talks about her process, her inspiration from architecture forms, her evolution as a designer and more interesting details about her experience. Don't miss it! 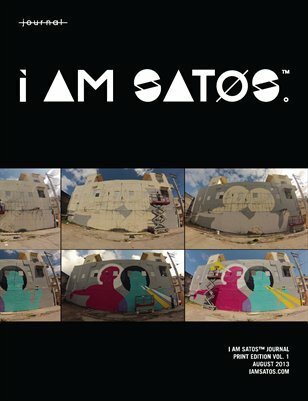 Tagged with FASHION, SCAD, PUERTO RICO, SAVANNAH, EXILE, ARCHITECTURE, DESIGN. June 21, 2013 by Mariana Ortiz-Reyes.